June 23 in Noblesville, Indiana, with 44 dates across North America including stops in Detroit, Los Angeles, Chicago, Toronto, Vancouver, and more. Daughtry will join Nickelback as their special guest for all of the U.S. dates, as well as Toronto and Montreal, while Shaman’s Harvest will be seen on all dates. Rock & Roll Hall Of Fame icons, Cheap Trick, will be special guests for the western Canadian leg of the tour. Full itinerary below. Tickets for the Feed The Machine Tour will be available beginning with a Fan Club presale onMonday, February 6 at 10:00 AM local venue time on the Live Nation App and at LiveNation.com. Fans who pre-order the new album today from the band’s official store will receive a code for early access to tickets as well as an instant-grat of the first single, “Feed The Machine.” General on-sale begins Saturday, February 11, with four-packs available for $80.00 in select cities. 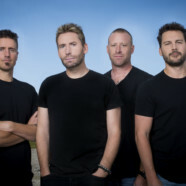 For ticket information and details on where to buy tickets for select fair dates, visitwww.nickelback.com.